A couple months back, we added to the Soma Shop a few of Cardiff's first model, the "Cambria", a 150mm wide model, whose silhouette reminds us of a Brooks "Swallow". Now Cardiff sends us the "Cornwall", "Mercia" and "Wessex". 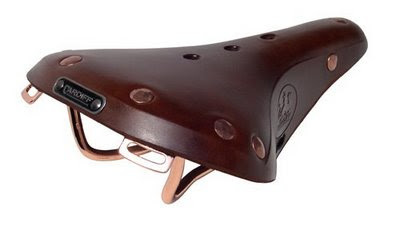 The leather shell is the same shape on all three, so the models are only differentiated by the type of rivets and rails. We have to say they are all quite handsome. The cowhide is thick and durable. Hardware is simple and sturdy. One guy here has been riding one of these for 2 months. 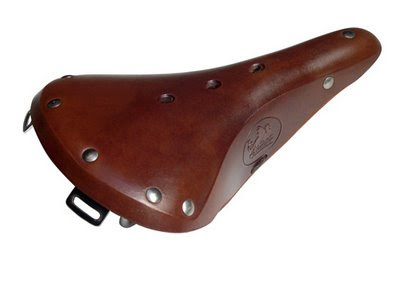 He had re-adjust the tightness once and recommends maybe adding some low strength lock-tite to the threads. The adjustment is handled by an Allen key. 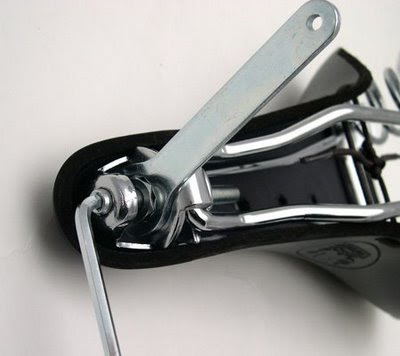 There is also wrench to hold the nut in place while turning the adjustment bolt. This occurred the evening of Lincoln's birthday. 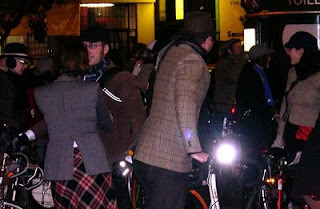 Dress up in tweed outfits, ride bikes, make new friends. Why tweed? What is more anti-spandex than this rough unfinished woolen fabric? It shows us that cycling is not just a sweaty sport, but a social and/or cultural activity. Even though profuse prespiration is a distinct possibility, you don't dress in sweats to go dancing, do you? No. You dress to look "hella fine", or in this case-- dapper. Would love to see the second ride in the daytime. For some way lovelier pics than this, go here. 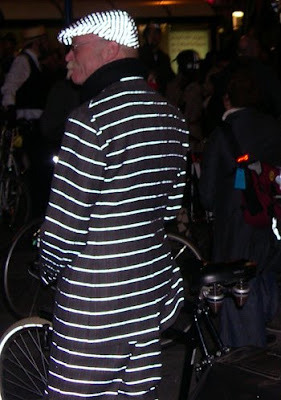 Gary Fisher couldn't be missed in his custom tailored outfit complete with reflective threads. Even the cap is reflecting the flash. Non-members pay $10, or join at the door and get in free! They are putting on a cyclist's version of the 70's game show, the Dating Game. Guaranteed to be lots of fun whether you are playing or just a "member of the studio audience". Not familiar with the Dating Game? Check out this clip featuring California's governor. Not into that love crap? Fame, glory, $2000 in prizes(including stuff from SOMA), and FREE BEER can be yours! They're throwing a GoldSprints Roller Racing party at Mike's Bikes Sacramento on the eve of the Prologue Stage. Roller races are 20 second sprints on stationary bikes, four riders wide. Admission is just $10, and that includes free beer and racing starting at 7pm. Commercial for their first alleycat coming up on March 7, 2009. FremontFixed.com Race from erick fletes on Vimeo. New additions to our Hell's Bells line-up. 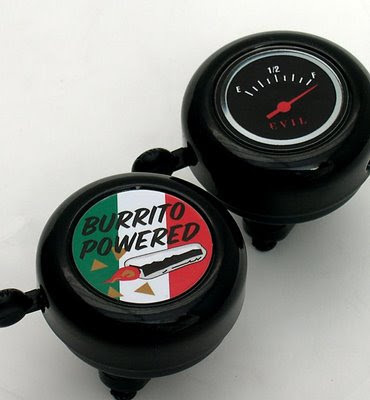 For evil doers and burrito lovers everywhere. 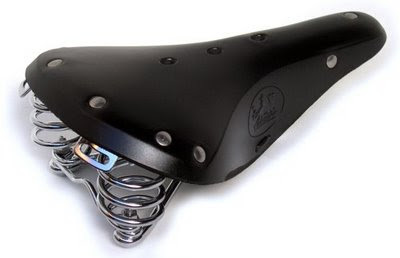 Has the common 22.2mm clamp, so it fits our Late Risers, Straight Bars, Oxfords, and Sparrows.